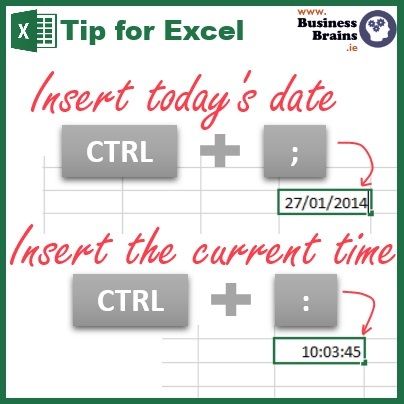 If you have to frequently enter the current date and time into your spreadsheet e.g. in a log or diary entry, there’s a quick way to do it without having to type the date, time or even looking at your watch as shown in today’s tip. While I have been using this for many years, only recently and by accident did I discover that I could use the shortcut to insert the date/time anywhere inside some other text. Handy, eh? You may already use =Today() and =Now() to always display the current date and time in a workbook. These however will refresh every day/time the workbook is saved.